By Rean in Internet. Updated on April 11, 2018 . Publishing is always a painful issue for the author, as they might be excellent on writing, but suffers when it comes to decide the publishing format, cover design and budget planning. The great news is, there are quality publishing services arise nowadays to help you to publish your book in a quality yet cost-effective manner. In this post we’re going to explore little basics about publishing, the advantage and disadvantage of going digital or print, and introduce to you 7 quality self-publishing services that do really good job on designing, publishing and even marketing your books. 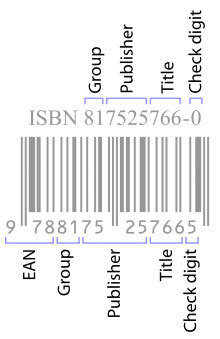 ISBN is an unique digit combination assigned to published books which identifies the publisher and the title. It is usually made up of 10 or the new 13 numbers combination, also better known as ISBN-10 and ISBN-13. ISBN is important if you are thinking of publishing your book either on print or digital format. ISBN is however not necessary if you are planning to sell or distribute eBooks. Print on demand – as its name suggest – allows the publisher to print and develier when an order is received instead of printing in bulk. It is a more painless way to save cost when it comes to publishing, especially for the individual book publishers on a budget. Today’s audience lies in the internet. Although there are still people who prefer a traditional print, millions of readers have e-book readers like Kindle and their iPads. Publishing digitally is one way for indie writers to have more exposure at little to no cost at all while having a large audience. Publishing digitally entails easier access to a wide range of readers from all over the world. You can even sell your work on your own website (in which case, ISBN is not necessary). And it’s faster, imagine the speed of a few clicks. First, the smell of books is refreshing for people like me who prefer having them at day’s start while drinking coffee. Second, having a solid form of your book has more integrity to it. Third, the feeling of flipping page is simply good. Many traditionalists would prefer buying books in print. Now you understand the both advantage and disadvantages of going either digital or traditional publishing form. While you have the choice to choose your preferred publishing form, that doesn’t mean you can’t publish in both format! Let’s take a look at some online services that is able to help you get your book published without getting a publisher. 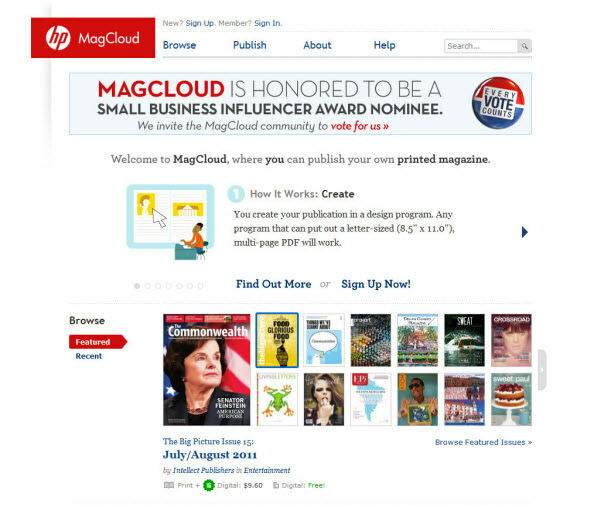 MagCloud gives their customers options whether to publish digitally or by print. You do not need to worry about using MagCloud because there are only 3 simple steps before you can publish your book and they deliver as fast as 3 days. Besides, it has a feature which helps authors connect with their readers and send notifications like a newsletter. It is really helpful especially when you are running on a series or a new publication. You don’t need to worry about migrating to another service just to inform your existing readers about what’s new. 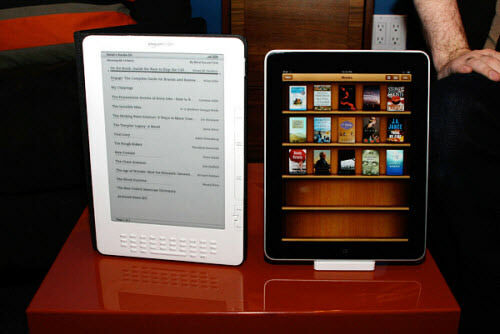 Digital format does not have an issue with cross-platform compatibility, MagCloud does the job whether it’s an iPad or a Kindle or a smartphone. Also I almost forgot to tell you that MagCloud works best for magazines. So, if you’re a photographer, designer, or an illustrator, you might want to consider using MagCloud. So you have your story but you don’t want to be bothered by the formatting and book design. Finding reviewers to review your book might be a hard task too, including consultation from professionals of the field. 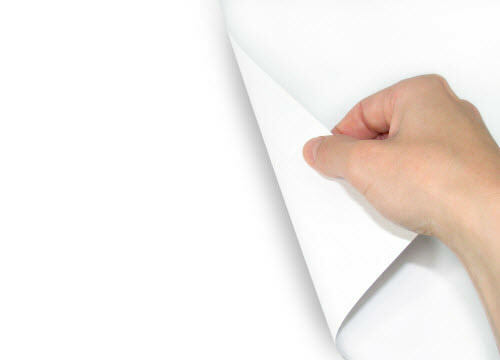 Lulu offers free consultation about your material, which the service has three packages that you can choose. All of the packages make publishing easier than it usually is. What you need to do is provide your material and they will handle the rest from formatting to the cover design and editorial quality review to the distribution of your book for as low as $600! Another shivering service of Lulu is that you can actually register your books for their partner’s book fairs. Your book goes in the event even if you can’t. Imagine regular book buyers, marketers, librarians, and agents seeing your books on the event. Cool, huh? 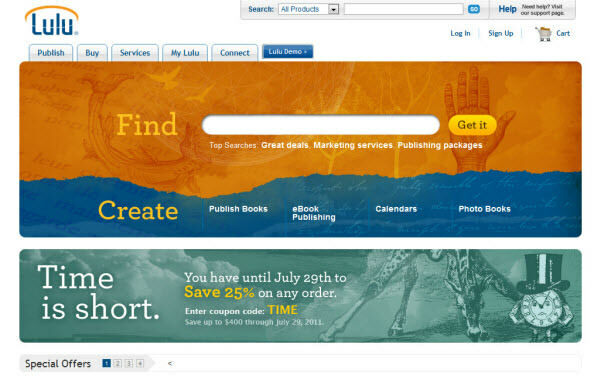 Unlike other self-publishing services, CreateSpace is for authors, musicians, and film makers. CreateSpace does most of the job from the moment you submit your material to delivery. All you have to do then is waiting while your pocket grows fat. Publishers (authors, musicians, and filmmakers) can choose on what format they like their materials would be delivered to the customers: either electronically (eBook, MP3, video) or traditionally (print, CD, DVD). 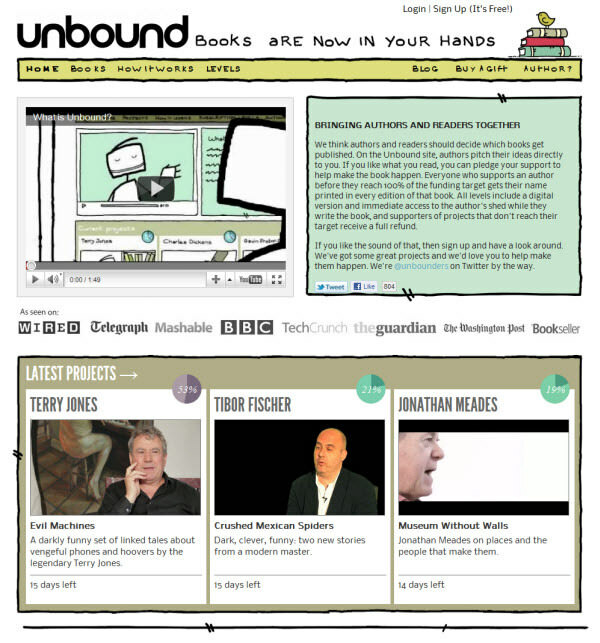 Unbound is an innovative way to “create” books. I say, this is for the stout-hearted, those who really know what they are doing and has the confidence in their ideas. Why? Because in Unbound, you don’t have risk yourself to write the entire book first, all you need to have is an idea and when it gathers supporters from the crowd you can then go ahead and write the book. Wait, how does that work again? It works two ways; you provide the idea and try to sell it to your readers. If enough readers bite in the idea and support it, that’s when writing commences. The special thing about Unbound is that while the book is being written, Unbound funds the author. Of course, only real good and already published authors are welcome for now. When it comes to new talents, they prefer new authors to come through a literary agent first. Still, this is a very unique idea to write and publish a book! Quality has always been an issue for self-published materials, that’s why bookstores are having qualms whether to shelve self-published prints or not. Mostly, though, they do not allow them. There are people who can really write well but do not have the necessary skills to market their own product; to solve this Xlibris has a very extensive marketing plan for their customers. 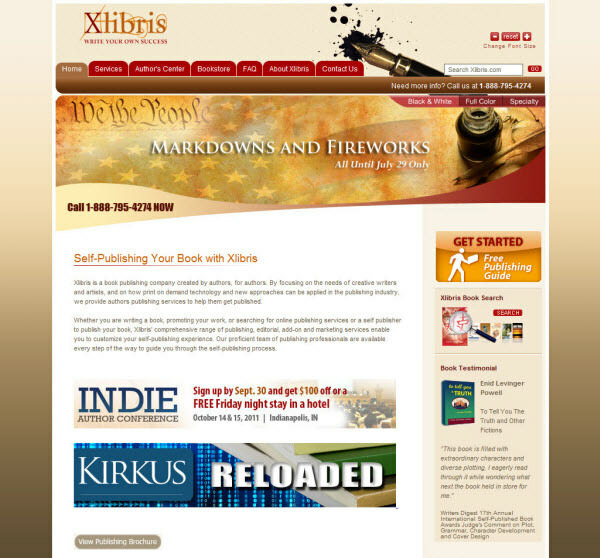 To add more to Xlibris’ credibility, they’ve been doing this for over a decade now. Making dreams come true. Again, it has an extensive publishing and marketing plan for independent writers. All rights are retained by the writer! 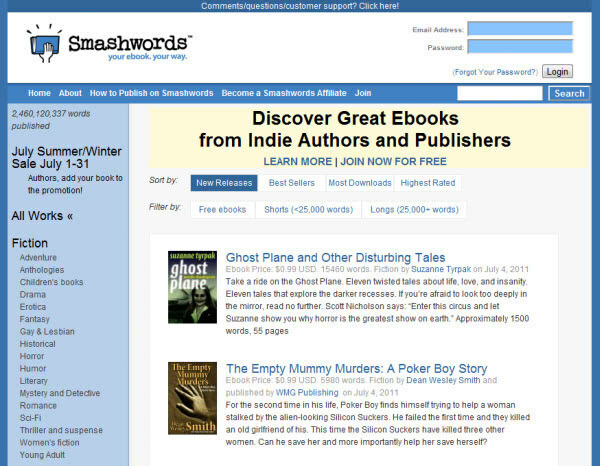 Smashwords boasts over 18,000 writers that use their services. 18,000 can’t get wrong, right? It doesn’t stop there; authors and publishers earn 85% of sales, making it one of the services with highest return. Upon publishing, Smashwords distributes the material to major retailers like Barnes & Noble, Apple iBook store, and many more. 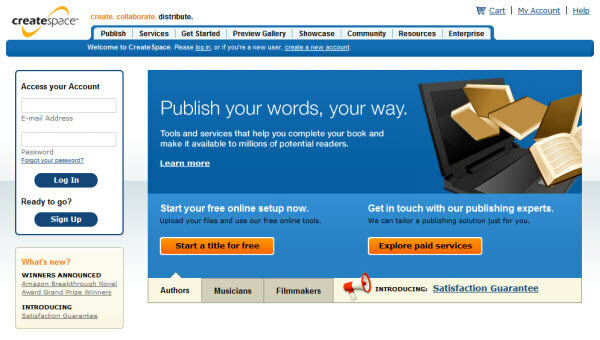 Like few of the other publishing services, Smashwords is absolutely free to use. Not a single penny is needed for you to start, you just have to provide your work and they will do the rest. To begin with, FastPencil has a free book writing software that writers can use and stripped of all those unnecessary toolbars and menus as seen in other word processing tools. For budding writers, the tool they offer is invaluable since it offers collaboration between writers. Yes, if you allow it, other authors can collaborate with you, helping you in the thinking process and criticize parts of your work. If you’ve seen Google Docs, people can leave their comments on different parts of the document. Basically, that’s how it works. 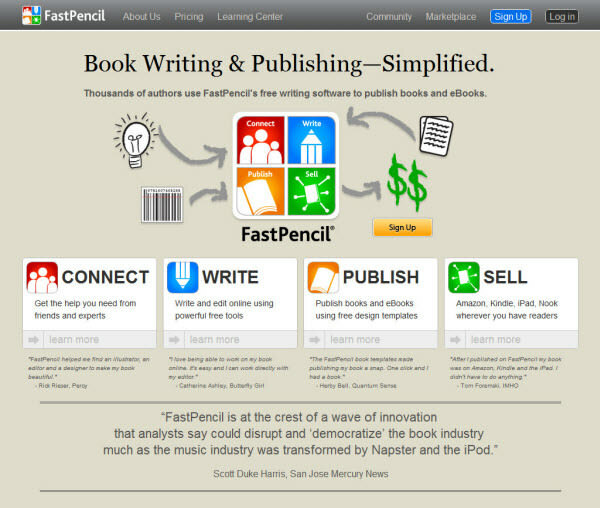 Upon publishing, your materials are sold in the FastPencil Marketplace. If you are willing to pour in some fees, they can insert your material to other marketplaces too.